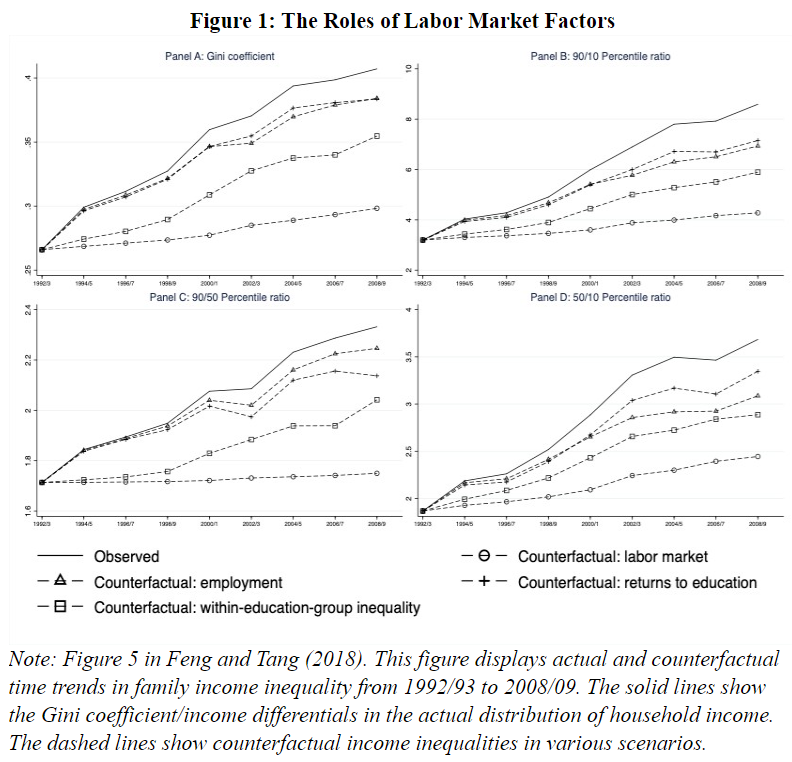 “Our results suggest that labor market factors are most important to the increases in family income inequality during the 1992-2009 period. Figure 1 shows that if allthree of the factors are held unchanged at the levels of 1992/93, the Gini coefficient would only increase from 0.266 to 0.298, instead of to the actual 0.407. Therefore, labor market factors collectively contribute more than three-quarters of the total increase in inequality. Further, labor market factors are more important in affecting the upper part of the income distribution as they account for almost all of the changes in P90/P50, the ratio of the 90th percentile to median family incomes.